The Biotechnology Science Coordinating Committee (BSCC), at the behest of the White House Office of Science and Technology Policy (OSTP), held the first of three public meetings to discuss an update to the coordinated framework which serves as the regulatory guidelines for genetically engineered organisms. This meeting provided an opportunity for representatives from the primary agencies involved in GMO regulation, the Food and Drug Administration (FDA), Environmental Protection Agency (EPA), and US Department of Agriculture (USDA) to clarify their roles in the current framework. Dr. John P. Holdren, Senior Advisor to President Barack Obama and Director of OSTP, opened the meeting, providing the history behind the formation of the coordinated framework and citing rapid advances in the field of gene editing as the impetus to update regulations and speed innovation. The Assistant Director for Biological Innovation at OSTP, Dr. Roberto Barbero delved deeper into the intentions behind the call to update the coordinated framework, highlighting the need to improve transparency in the regulatory process and engage the best scientific evidence as a part of the deliberations. Further, Barbero reiterated the need to support research science that underpins regulatory strategy to maintain evidence-based decision making. Following OSTP’s introduction, Dr. John Turner, Director of the Biotechnology Risk Analysis Program in the Animal and Plant Health Inspection Service (APHIS) at USDA cited the Plant Protection Act of 2000 as the enabling authority to regulate genetically engineered plants that have a “plant pest component” with the goal of protecting plants and plant products from pests. The animal component of USDA oversight was presented by Dr. Lisa Ferguson, National Director of Policy Permitting and Regulatory Services in APHIS-Veterinary Service. Ferguson demonstrated the USDA authority over genetically engineered animals through the Animal Health Protection Act, specifically refers to the import of animals, the interstate movement of animals infected with certain diseases, and insects which are vectors of animal diseases. To simplify the charge, Ferguson asserted the agency’s goal to regulate anything that might impact the health of US livestock. The EPA sent two representatives to explain the agency’s role in the coordinated framework to regulation biotechnology. Mike Mendelson, Senior Regulatory Specialist in the Microbial Pesticides Branch of the Office of Pesticides Programs, Biopesticides and Pollution Prevention, began the segment by referencing four key laws that govern the activities his office: Federal Insecticide, Fungicide, and Rodenticide Act; Federal Food, Drug, and Cosmetic Act; Food Quality Protection Act; and the Pesticide Registration Improvement Act. Most relevant to the discussion of genetically engineered organisms are “plant incorporated protectants,” defined as any pesticide substance intended to be produced and used in a living plant and the genetic material necessary for the production of such pesticidal substance. 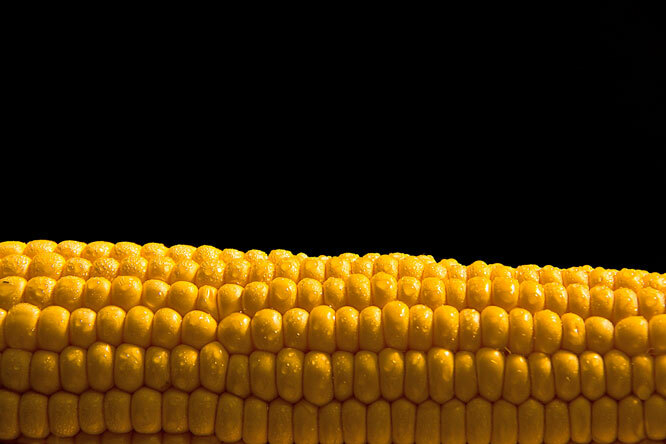 The regulatory reach of EPA also encompasses pesticidal products, such as the Bt Cry1Ab protein and the cry1Ab gene found in Bt corn. Underscoring the need for coordination among federal agencies for pesticides, Mendelson distilled the framework, stating the EPA ensures an organism is safe for use as a pesticide, FDA ensures an organism is safe for use in food and feed, and USDA ensures an organism is safe for agriculture and the environment. The final presentation was given by Leslie Kux, Associate Commissioner for Policy at the FDA, who referenced the Food and Drug Cosmetic Act‘s provision to ensure the safety of adulterated foods and food additives. Kux noted that transferred genetic material and the intended expression products could be subject to food additives regulations, unless the material and intended products are deemed “generally recognized as safe.” In a 1992 statement, FDA stated “that the regulatory status of a food, irrespective of the method by which it is developed, is dependent upon the objective characteristics of the food.” Stated plainly, the FDA regulates the product of genetic engineering and not the process. In an effort to ensure the safety of genetically engineered foods, the FDA has implemented a pre-market consultation process whereby companies work with the FDA to address all safety and regulatory issues prior to a product coming to market. As a result, over 150 genetically engineered plant varieties that were subject to this consultation process were generally recognized as safe once they were available to the public, and therefore not regulated by the FDA. Kux also provided an overview of new animal drug provisions, which prohibit the introduction of unapproved drugs into commerce. This covers all genetically engineered animals bearing heritable rDNA constructs including biopharm animals. Such cases are evaluated by a risk-based approach where applicants must demonstrate that the genetic change is safe to the animal and that food from that animal is safe for human consumption. Genetically engineered animals for research applications are exempt from this regulation to allow for animal drug shipments and labeling, record keeping, and an open path for confidential communication during the development process. To demonstrate successful FDA oversight, Kux highlighted GTC’s Atryn Producing Genetically Engineered Goats, which produce an anti-clotting agent for humans with hereditary clotting disorders in high-risk situations. Several representatives from various stakeholder organizations were present to provide input to the committee. These ranged from consumer organizations—who asked that the update to the framework mandate all genetically engineered organisms undergo extensive pre- and post-market review—to scientific societies, who requested greater transparency and public engagement to stem public distrust in the biotechnology regulatory process and urged the committee to incorporate the latest scientific evidence into their deliberations. 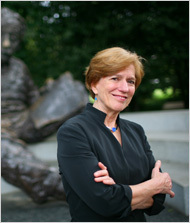 Molecular biologist and long-time GSA member Nina Fedoroff, author of Mendel in the Kitchen: A Scientist’s View on Genetically Modified Food, also addressed the committee, reminding them of previous scientific studies of genetically modified food which found them to have no negative consequences for human consumption. Her complete remarks are reprinted with her permission here. Those interested in these topics are also encouraged to read Pamela Ronald’s 2011 review on genetically modified crops in GENETICS, which discusses the science behind the testing of genetically engineered food. If you feel strongly about the way in which genetically engineered organisms are currently regulated and have suggestions for the committee as they update the framework, you should consider responding to the request for information issued by the Office of Science and Technology Policy. Responses must be received by November 13, 2015, at 5 pm ET and can be submitted through the Federal eRulemaking Portal. What additional clarification could be provided regarding which biotechnology product areas are within the statutory authority and responsibility of each agency? What additional clarification could be provided regarding the roles that each agency plays for different biotechnology product areas, particularly for those product areas that fall within the responsibility of multiple agencies, and how those roles relate to each other in the course of a regulatory assessment? How can Federal agencies improve their communication to consumers, industry, and other stakeholders regarding the authorities, practices, and bases for decision-making used to ensure the safety of the products of biotechnology? Are there relevant data and information, including case studies, that can inform the update to the CF or the development of the long-term strategy regarding how to improve the transparency, coordination, predictability, and efficiency of the regulatory system for the products of biotechnology? Are there specific issues that should be addressed in the update of the CF or in the long-term strategy in order to increase the transparency, coordination, predictability, and efficiency of the regulatory system for the products of biotechnology? “Nina Fedoroff comments on GMO regulatory reform,” November 2, 2015.